Plans for Doctor Who‘s tenth anniversary in 1973 were well underway by the spring of 1972, with producer Barry Letts and script editor Terrance Dicks keen to mark the occasion with a line up of returning foes and the first ever multi-Doctor story. Part of those plans was to create a story to rival the series’ previous longest tale, The Daleks’ Master Plan. Douglas Camfield, the director of The Daleks’ Master Plan, and Terrance Dicks were both concerned about producing such a long adventure, which would inevitably cause production problems and audience fatigue. This ultimately persuaded Letts to adjust his ambitions and instead create two separate linked tales. Two of the Doctor’s most popular enemies were chosen for the two stories – The Master and, of course, the Daleks. 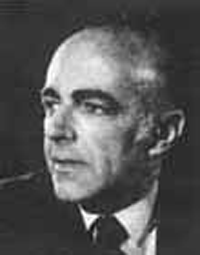 Malcolm Hulke was chosen as the writer of the first story and he was given certain instructions so that his narrative would dovetail into the second story. The Master was to be aided by the Ogrons – a Gorilla-like race that been introduced in Day of the Daleks who would therefore help foreshadow the appearance of their superiors. Only the final episode would feature an appearance by the Daleks themselves. On 14th April Hulke was commissioned to begin the story titled Frontier in Space. Day of the Daleks‘ director, Paul Bernard, was assigned to take charge of the initial six episodes of the story arc. As part of pre-production, one of his first jobs in, August, was to check on the condition of the three props. Dalek Seven-2 and Dalek Six-7 were in relatively good condition and needed little work to get them ready. 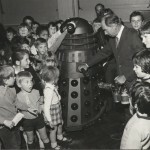 Dalek Six-7 had been out and about as recently as 24th June when Bernard Wilkie had used the prop at Hendon College where he was presenting demonstrations and a talk about his work with special effects. Dalek One-5 has suffered some damage and needed a new set of eye-discs and several slats replacing on the shoulders. The paint-work was touched up as necessary. When Dalek operators came to be contracted, the ever-reliable duo of John Scott Martin and Murphy Grumbar were drafted in, however Ricky Newby’s services were not called upon again after his work the previous year. Instead, a new actor was brought in, and it would be the start of a long career inside the Daleks for Cy Town. Another change concerned the Daleks’ speech. Actor Michael Wisher would provide the voice for the one speaking prop; Dalek Seven-2. Wisher’s first contribution to Doctor Who had been uncredited voice work inThe Seeds of Death four years earlier. Thereafter he appeared in several Jon Pertwee stories, including Carnival of Monsters earlier that year. With props and operators ready, on 11th September the production team made their way to Beachfields Quarry in Redhill, Surrey, where the scenes on the Ogron planet were filmed over two days. 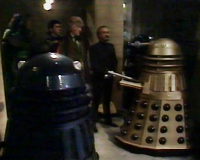 Here the three props would make their first appearance for the grand reveal that the Daleks were the unseen allies of the Master. To aid the props’ movement, the fenders were all left without the plastic covering that would ordinarily be used to hide the wheels. The brief quarry scene showed the Daleks from low angles and in long-shot, with the camera looking up to the cliff edge where the villains stood. Six weeks later, 31st October saw the only studio recording take place with the Daleks. This was for episode six, and the three props were unchanged in all respects other than they were now fitted with the fender covering. Continuing their statuesque demeanour seen during their last serial, the Daleks were afforded hardly any motion by their operators. Finally, one last shot was needed, and Dalek Seven-2 was used briefly when a hallucinating Ogron believed one of his masters was in the prison cell. 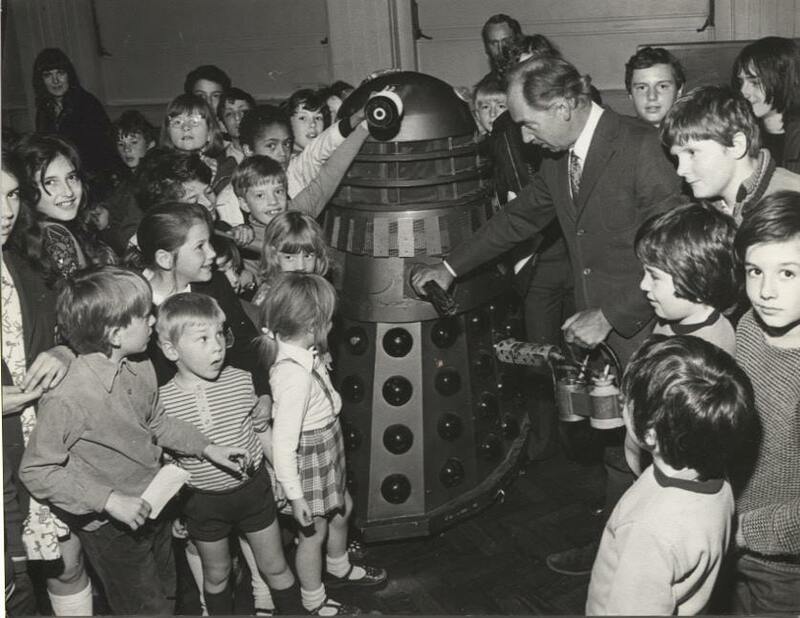 After their five-year hiatus, the Daleks were once again capturing the imagination of children across the country. The frenzy wasn’t reaching the heights of their sixties heyday but the popular aliens continued to cameo on other TV shows and make regular public appearances. 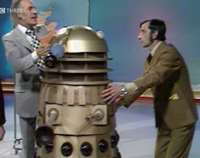 During recording of Frontier in Space the gold Dalek Seven-2 popped up on an episode of The Generation Game. The highly-successful programme starred Bruce Forsyth and was into its second season in 1972. The cameo in question features a joke about the misunderstanding of the word ‘dialects’, prompting the gold prop to be briefly wheeled on. The audience reaction to the appearance gives a measure of their notoriety, provoking as it does a mixture of delight and amusement. 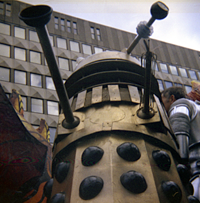 On 11th November 1972, Dalek Seven-Two and Dalek Six-7 appeared at the Lord Mayor’s Show in London. This annual procession of businesses and celebrities through the streets had been running since 1535 and saw the newly elected Mayor present himself to the Sovereign and swear loyalty to the Crown.